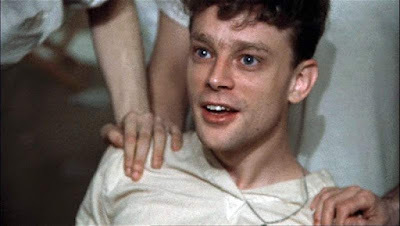 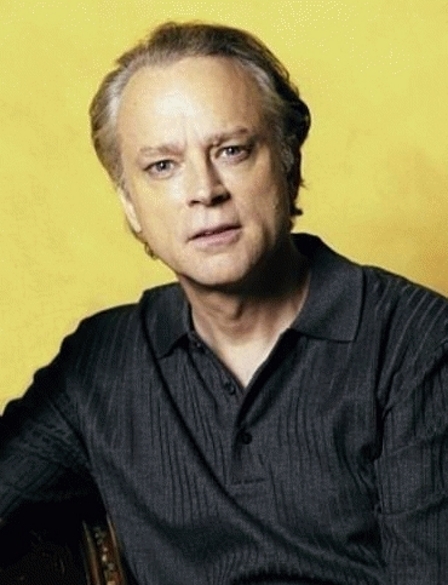 Ever since 'Billy Bibbit' in Milos Forman's "One Flew Over The Cuckoo's Nest" written by Ken Kesey starring Jack Nicholson, Louise Fletcher et al, I have been a fan of Brad Douriff. 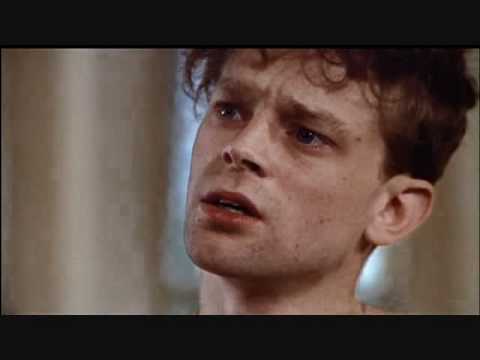 Outsiders, freaks and the quirky his specialism as one of America's finest character actors and this film haunted me ever since I first saw it . . . . . . every performance hypnotically brilliant so you cannot take your eyes off him IMHO. 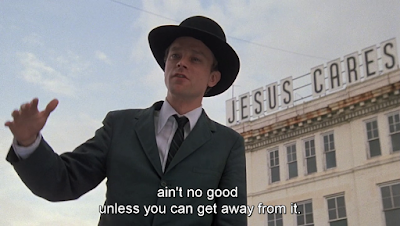 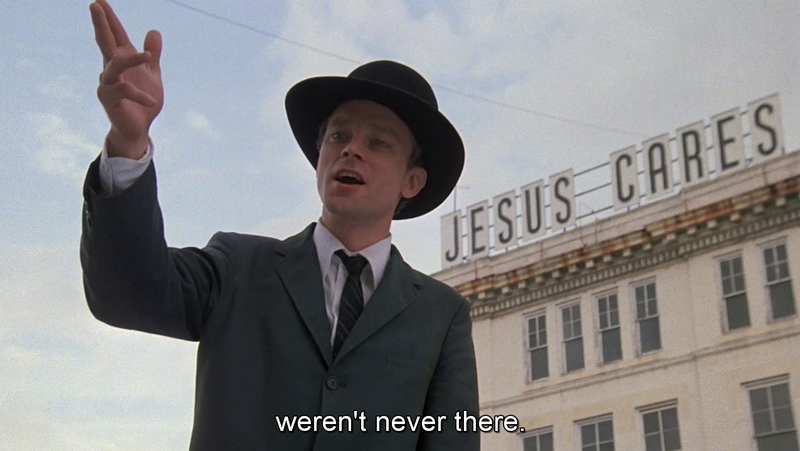 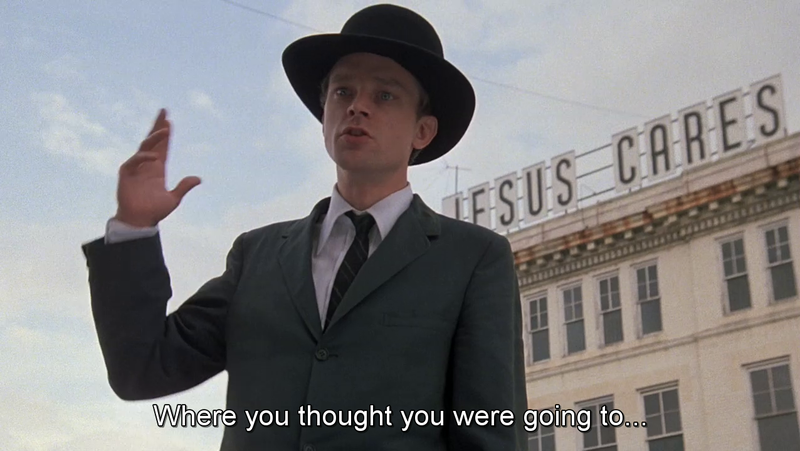 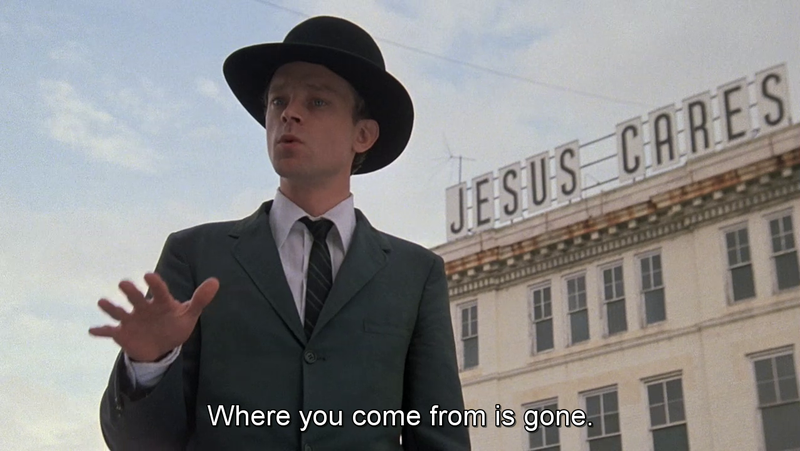 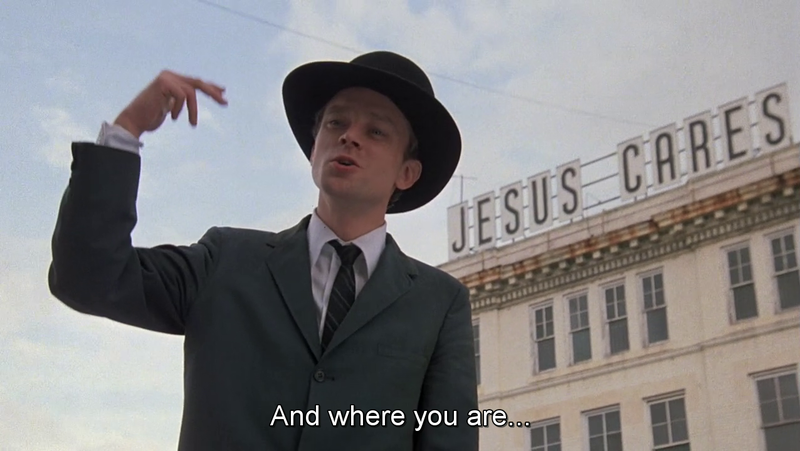 Brad Dourif preaching the “Church of Christ Without Christ“ in John Huston’s Wise Blood (1979), based on the book by Flannery O'Connor.